A development of over 140 affordable, family homes in Leamington has reached completion. Known as Union Park, the £29 million development of 147 homes sits on the former Soans’ motor dealership site in Sydenham. The names of classic Ford cars now mark the streets in and around the neighbourhood paying respect to the rich heritage of the site. Matt Western, MP for Warwick and Leamington, welcomed the addition of new, affordable homes alongside housing group and developer Orbit and partners, Deeley Construction. He said: “I would like to thank Orbit, Deeley Construction and Warwick District Council for working together to create this fantastic development. It is important to recognise the contribution Orbit has made to the local area with the Union Park development. I visited the site some months ago and I am deeply impressed with the high environmental and construction standards of these homes. Offering canal-side living, Union Park has brought 55 homes to the open market, as well as 39 homes available for shared ownership (part buy, part rent) and 53 for affordable rent. Following high demand, all properties have now been sold or rented – just 18 months after building began. 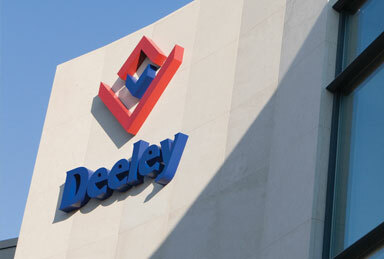 The development, delivered in partnership with Coventry-based Deeley Construction, offers a selection of two and three bedroom houses as well as one and two bedroom apartments. Martin Gallagher, managing director of Deeley Construction, added: “It was lovely to see a sense of community already developing – with children heading off to school and people going out to work – and it reminds you that developments such as this are about more than bricks and mortar, but creating homes for people. Orbit delivered over 2,000 new homes in the last financial year. Over the next 10 years the housing group has plans to build a further 20,000 new homes across the midlands, south and east of the country, contributing to the UK’s housing growth. A Coventry construction company has continued its commitment to bringing forward the next generation of talent in the industry. 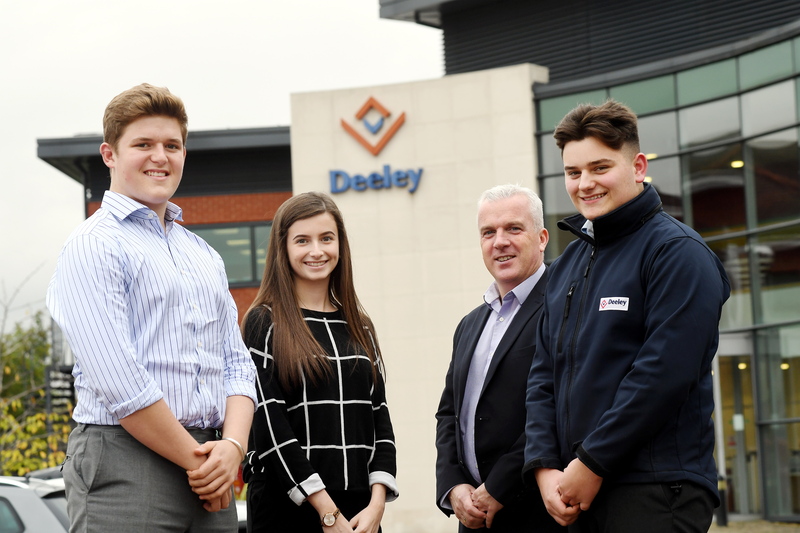 Deeley Construction, which is based at George House at Coventry Business Park, has taken on three new apprentices to assist with the firm’s continued growth. Charlie Stevens and Matt Byrne are both management trainees with the company and Katie-May Cashmore is a trainee accounts assistant. Charlie is undertaking a Construction Management Degree at Birmingham City University, while Matt is studying for a BTEC Diploma in Construction Level 3 at South & City College Birmingham. Katie-May is completing an AAT Diploma Level 2 at Coventry College City Campus. 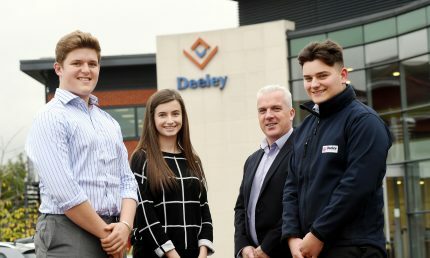 The trio continue a long-held tradition at Deeley Construction of growing its own workforce with almost 20 per cent of the company’s staff coming through the firm as an apprentice. It’s a proud record that includes managing director Martin Gallagher, who welcomed Charlie, Matt and Katie-May to the company. “It’s great that Charlie, Matt and Katie-May want to develop a career in construction and also highlights that there are many roles in our sector from being out on-site through to being based in the office.